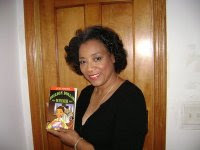 Arlene Jones - Featured Columnist Austin Weekly News: Are you Joshua or are you Moses? Are you Joshua or are you Moses? I offer sympathy to the family of Blair Holt. He was the young honor student killed last week on the bus at 103rd and Ada. Since his murder, I've been seeing many of the usual suspects. The mayor harps on gun control-but not on unemployment issues, inflation, misuse of monies by the public schools for security, lack of after-school activities as well as poor funding for the park district-as the main factor. To him, it's just gun control. Once the mayor speaks, we can be assured that 99 percent of our black elected officials will say nothing. The ministers got on the bus, prayed and sang. Yet the average business district block in the black community filled with storefront churches that employ no one and that are closed more than they are open. Do those churches really grasp the community needs or are they just part-time visitors to it? Callers to WVON 1690-AM spewed forth opinions and solutions. One caller wants "them" all shipped off to an Alcatraz-type island, another blames the white man, and even more just call on God. Truthfully, I don't think those in the "status quo" of authority are interested in doing or changing anything. Why? Let's go back to the case of Robert "Yummy" Sandifer. Many have forgotten what happened in August and September 1994. So allow me refresh your memories. In August of 1994, a beautiful 14-year-old black girl named Shavon Dean was shot and killed. Just like Blair Holt, she was the innocent victim when some gang members got to shooting. Her murder sent shivers through Roseland, and the police came down hard looking for the shooter. The heat was on because of her murder and many criminal activities had to be curtailed. The police began to focus on a suspect. Robert "Yummy" Sandifer. He was called Yummy because of his love of cookies and junk food. He was well known throughout the Roseland community and because of his association with the Black Disciples. He and his "crew" were known to sell drugs, steal, and set fires. When news got around to the rest of his gang members that the police were looking for Yummy, others members of his gang got nervous. If Yummy was caught and started talking, a lot of them would be in trouble. So the word was put out on the street to take Yummy out. Two of his fellow gang members, Derrick Hardaway, 16, and his brother Cragg, 14, both honor students, lured Yummy into a viaduct. He was found days later shot twice in the back of the head-execution style! By the way, for those who have long forgotten, Yummy was 11 years old at the time of his death. Derrick was sentenced to 45 years in jail and Cragg to 60. After the murder of Yummy and the incarceration of the Hardaway brothers, there was outrage-outrage that lasted a while. But then it faded, and now here we are, 13 years later and the same-o-same-o has again happened. Children with a gun killing another child. Many of the same folks who were outraged 13 years ago are outraged today. But 13 years after the deaths of Shavon and Yummy, can anyone tell me anything what has been put into place so a senseless murder of one child by another won't ever happen again? Well, truthfully and sadly, not much has changed. As we look at the black community, where are the jobs for our teenagers? Had there been after-school activities, would Blair still have ended up dead? The city constantly cries broke while having money for Olympics bids, for Looptopia and for every whim the mayor fancies. That's how the mayor can give Loyola, a private institution, up to $46 million in TIF funds even though it doesn't pay taxes. We can have, as the Chicago Reader pointed out last week, young black kids who are hurdlers practicing in the hallways at Lane Tech because we don't have a single indoor fieldhouse for any of the public schools. Worst, the city is getting ready to give Ziegler Financial, a $3.2 billion investment company, $2.7 million to consolidate its offices in downtown Chicago. As adults, we permit, tolerate, and, basically by doing nothing, encourage what has been going on to keep going on. We are not mad. We are not angry. We aren't even sick and tired of being sick and tired. Instead we've given up. We sit transfixed by the television and await the riches the prosperity ministries say we're due. There's a popular sermon that many progressive ministers are giving. It's called the Joshua/Moses Syndrome. The premise of that sermon is that although Moses was used to lead the children of Israel out of Egypt to the Promised Land, it was Joshua who was destined to lead them to possess the land. It's the same thing when it comes to ending violence by young people against young people. So my heart and soul were lifted as I looked at the front pages of the papers and saw the young students from Julian High School walking out and marching to end the violence. March on you young Joshuas! And to the Moses, please just go somewhere and sit down! Your job is done! Politicians and preachers aren't go to lift a finger. People are going to have to arm themselves and kill the murderers themselves. People can march, chant and pray, but over 40 years of that has accomplished more of the same-more murders and more publicity for the murderers.